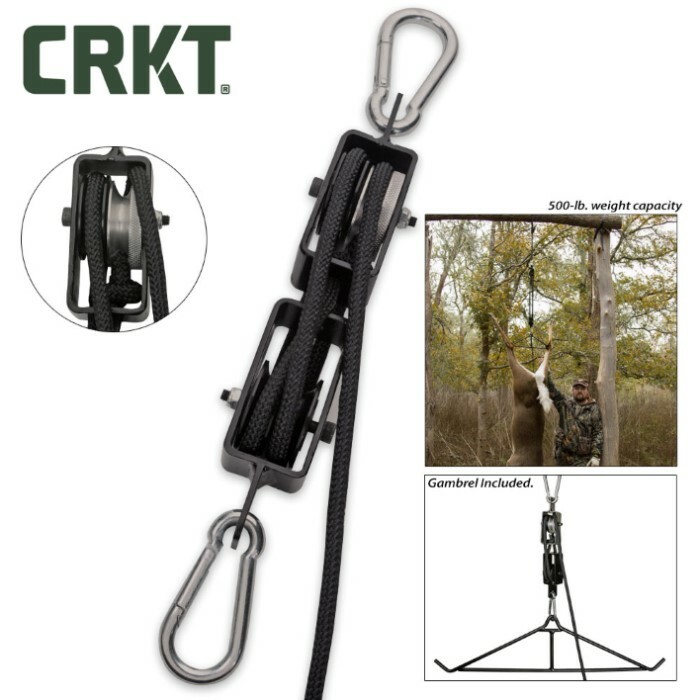 CRKT Hoist 'n Lok Big Game Hoist | BUDK.com - Knives & Swords At The Lowest Prices! Hoists up to 500 lbs. Rus Kommer's Hoist'n Lok Big Game Hoist, presented by CRKT, will not let you down or your prize either with its brute hoisting strength of up to 500lbs. 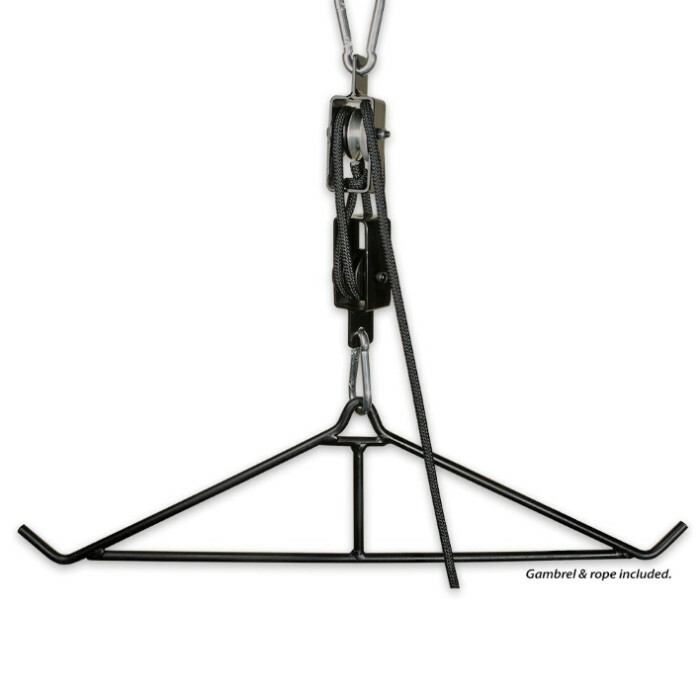 It also takes the hassle out of hanging your big game by employing a knurled cam that locks the rope firmly into place by simply moving it to the side. Now, this becomes a one-man-job whether just hanging the animal or adjusting it higher or lower for skinning purposes. The aluminum locking pulley wheel is made of 6061 aircraft aluminum housed in grade 8 bolt steel. 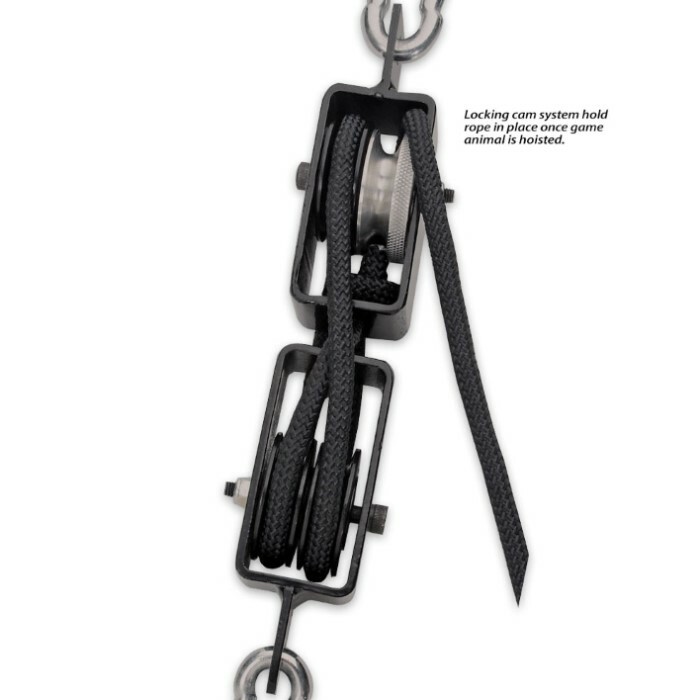 A welded and powder-coated, stainless steel gambrel is included, along with, 2 load bearing carabiners, and a length of 40-foot 8mm nylon rope. The Hoist'n Lock is a hunter's best friend.